To commit one’s life to any sort of human cause, especially such a profound one as individual freedom, is the closest we can come to find meaning and purpose. Looking back, I realize that it is now over half a century since I established the foundations of what is known as psychoanalysis in groups. I feel both joy and sadness when I contemplate the progress, the changes and the many negative influences experienced during the course of time. After initially having much hope for the wide dissemination and application of this treatment form, as well as for maintaining its level of quality, I soon had to face the disappointment of the current emphasis on group-as-a-whole therapy, with its preoccupation with group process rather than with each patient. On the positive side, there have been many improvements and refinements in the psychoanalysis of groups. An additional encouraging factor is that for more than 40 years the director of research of the American Mental Health Foundation has selected this method as the most desirable vehicle for one of its most urgent priorities: to develop a low-cost treatment form offering effective help to a majority of ambulatory patients. The Foundation has made great strides in this direction and its publications on the method developed by it have appeared in many languages. The first record of group psychotherapy in the United States was presented in 1906 by Dr J. H. Pratt, a Boston physician. Dr Pratt, working with tubercular patients who could not afford institutional care, quickly found that his classroom instruction on tubercular home care had beneficial emotional side effects. By 1956 he was referring to his work not as ‘Home Sanatorium Treatment for Consumptives’ but as ‘group psychotherapy’. In those 50 years group psychotherapy came of age. Moreno wrote of working with groups in Vienna in 1910. Lazell reported on group treatment of psychotics in 1921. Burrow introduced the term ‘group analysis’ in 1925. Wender reported on his work with psychoanalytically-oriented groups in 1929 and Slavson introduced, among other noteworthy innovations, activity group therapy. In 1931 Marsh reported on his 20 years of group psychotherapy using the repressive inspirational method and the idea of milieu therapy. And in 1934 Schilder, combining social and psychoanalytic points of view in his technique, introduced group psychotherapy into Bellevue Hospital in New York. By this time, the economic depression in the United States had hit bottom. Tensions were further increase by the threat of imminent war. The combination of these social forces undoubtedly did much to spur the acceptance of group psychotherapy as a recognized method of treatment. It was the Second World War, however, that gave group psychotherapy its greatest impetus. I embarked on my own tour of military service with four years of clinical experience in group psychotherapy behind me. During my term of service I had the rare and invaluable opportunity of working with hundreds of groups of men on a short-term basis while training younger therapists in a method that had now become a military necessity. Many devoted practitioners of group psychotherapy were trained during this trying period and all of us were pleased by official recognition when, in 1944, a war training bulletin issued by the United States Army stated: ‘The favorable response of patients to comparatively brief treatment in groups warrants widespread adoption of this method of therapy’. In the post-war period, despite the misgivings of many individual therapists and professional organizations, the number of group psychotherapists continued to grow. Probably the last holdout among psychotherapists were the psychoanalysts. 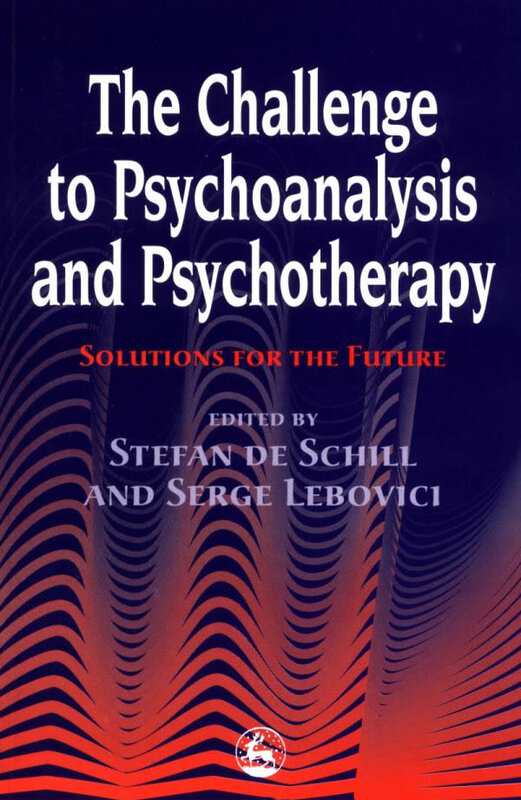 Nevertheless, today hardly a psychoanalytic school exists that does not admit the technique of psychoanalytic group psychotherapy to its course of training. In addition, many new schools of psychotherapy have grown up around the practice of group psychotherapy. For example, there is the ‘experiential school’, which considers the immediate emotional experience of group interaction to be of paramount importance almost to the exclusion of history and working through. Some of these therapists also believe that their own feelings and reactions should be exposed as freely as those of the patient. To many of this school, thinking is the enemy of therapy and rationality only a repressive and destructive influence. The group processors and the group-as-a-whole advocates are dedicated to the ‘here and now’ and the primacy of the group over the individual’s problems. However, they are not as inclined to include the therapist as a superpatient, as it were, nor even as a figure of authority supervening the authority of the group. Group dynamics, pioneered by Lewin, has proven itself very helpful to community organizers, educators and business organizations. However, because of its non-analytic stance and its lack of theory of the cause and cure of mental disorder, I have serious reservations as to the value of group dynamics in treating the mentally and emotionally disturbed. I also find myself out of sympathy with the tendency to look on every sort of group activity as a form of group therapy. Many such activities may have constructive outcomes but no justifiable claim to being regarded as therapeutic techniques. Any experienced group therapist will learn very soon that every group has a life and character of its own and that group cohesion is necessary in some measure for productive therapeutic work. But is it necessary, or wise, to put the group above the individual in every instance? Or in any instance? A group worthy of its name can often handle recalcitrance, destructiveness or acting out on the part of members better than a single authority can: In other words, a group can usually set its own limits and can interrupt its own members’ acting out. What is less certain is the status of the individual self. And if there is a choice of emphasis, I prefer to put that emphasis on the preservation of each individual’s integrity, without removing him from the group but encouraging him to achieve effective and successful peer interaction there. I began using psychoanalytic treatment in a group setting in 1938. By 1942 five groups of patients were in treatment and, now, over 35 years later, some of these groups, being open ended, are still eagerly sought out. Psychoanalysis in groups, however, has been relegated by some of today’s group psychodynamic therapists to a historical role. This turn of events is unfortunate because this type of treatment is more relevant thanever today and for the future since, among other reasons, psychoanalysis in groups stresses individual differences and individuality as opposed to group dynamics or group processes. Emphasis on individuality can lead to greater group cohesiveness than can efforts toward homogeneity since a person needs to appreciate himself before he can truly appreciate others. In psychoanalysis in groups the creative growth of the individual ego is primary. Group psychotherapy is a misnomer for a technique that, while conducted in a group, is designed to aid individuals; it is treatment of ailing individuals in a group setting, not treatment of ailing groups. Only individuals have egos, internalized object relations, introjected parents and, for that matter, intrapsychic dynamics. This position is obviously in contradistinction to more recent so-called group dynamic and group process approaches. Before discussing experimental techniques and their implications for the future and our projections for the future of psychoanalysis in groups, I shall address some issues central to our approach—the philosophy of psychoanalysis in groups, the primacy of the individual over the group, individual-within-the-group versus group-as-a-whole approaches, closed versus open-ended groups and thinking versus feeling in groups. There are forces at work within our society that hinder the development of autonomous egos, contribute to their inhibition and foster pseudohomogeneity. These forces include the crowding out of individual initiative and the limitation of choices, the excessive influence of the media, automation and an assembly-line mentality, and the breakdown of the family structure. High individuation is increasingly considered an illness in a crowded, group-oriented society. These same forces need to be resisted in therapy groups. I have observed crowded, automated groups where group themes limited individual choices and where mother-and-father-transferences were ignored as if familial influence could now be neglected. A person drowning in the homogeneity of modern-day society may find himself in an overcrowded group, videotaped and tape-recorded, and expected to shift quickly to ‘group values’ and to follow the externally imposed pace of the group instead of evolving and unfolding as individual ego growth is fostered. It is not surprising, then, that a generation of group therapists raised in such a society should fashion group therapy approaches that can do the same thing. Treatment fashioned to cure a person of the ills of a sick family or sick society, however, ought not to rely on the group’s mood or consensus to influence and cure a sick member. The exploration and working through of the intrapsychic unconscious pathology of each individual member remains the more difficult but more valid goal of treatment. The group simply provides a more economical setting where the possibility exists for relationships with peers as well as with authority figures, where both intrapsychic and interpersonal processes occur and where ‘brother/sister’ as well as ‘mother /father’ transferences develop and can be analyzed. to help protect members with weaker egos from the danger of incorporation by the group as a whole. The Talmud advises: ‘If someone says you are drunk, you can shrug your shoulders. If two persons say you are drunk, stop and listen. But if three say you are drunk, lie down.’ This story illustrates the powerful positive influence of the consensual validation process within a group setting. It is an illustration as well of a danger in the group process. What if these people say the individual is drunk but he is not? The weak ego is further buried. A more valuable experience may occur when an individual correctly tells a group: ‘You are all mistaken.’ That individual is in touch with his internal experience and has the strength to stand up to the consensus, and even the leader’s, opinion. The group, rather than suppressing the ego with a short-term behavioral gain, has thus provided the laboratory for the individual to gain ego strength, to be free of the tyranny of the homogenized consensus. Unfortunately, a group may be a composite of eight weak egos supporting each other to survive but, unfortunately, not to grow. E. James Anthony wrote that just as ‘the superego is soluble in alcohol; it’s also soluble—as Le Bon, McDougall and Freud pointed out—in the ecstasies occasioned by close group interaction, but there is always a hangover when reality once again asserts itself’. To this I would add the further warning: the ego may be equally vulnerable. The weaker the ego, the more suppressed it is in homogeneous group responses. While, at best, there are some positive aspects in homogeneous group responses, and they are valuable when patients relate to each other positively and support one another’s weak ego, such mental sustenance should not be confused with psychoanalytic treatment. Furthermore, in some group dynamic approaches lies the potential for ego damage when the leader does not analyze peer pressure. Psychoanalysis in groups makes the claim that the whole is less than the sum of the parts, but that is only because the parts are so precious. The gems must not be lost in the tiara. real dichotomy between individual and group psychology’. group mind as distinct from the mind of the individual group member’. but not so are readings on ‘Group Dynamics’. the mass rather than the man. intrapsychic conflicts into group level conflict states. not to attend to the individual but to be regardful of the group process. appreciation of the expanding ego of the other. along by the prevailing group process. The opposing mind retreats or succumbs. support the individual but in fact mismanages and denies him freedom of expression. I have found these general precepts to be of immeasurable help. The first is to provide a reasonably serious, relaxed, purposeful atmosphere so that the concentration and freedom to work are encouraged. This requires the setting of some ground rules, which each therapist will decide according to his own personality. I prefer to make my ground rules very general for the most part and quite specific in some parts. For the general rules, I ask that each patient try to discuss his associations, reactions, fantasies and feelings as frankly as possible, about himself, his fellow group members, his family, friends and work associates, and his therapist. I ask further that alternate meetings (see section on alternate meetings later in this chapter) be considered an integral part of the therapy plan and be attended as faithfully as the regular meetings and that any exchange that takes place outside the group setting among individual members or a sub-group of members be discussed within the group. These rules are not given as ultimatums—either obey or get out. Nor is there any intimation of laissez-faire. The instructions are given with the full knowledge that each member of the group will absorb them according to his own level of understanding, organization, degree of resistance and attitude toward authority and peers. And the chances are excellent that, collectively, the group will regulate its own behavior in the interest of constructive work. Another rule I follow for myself and indirectly impart almost immediately to patients is that any material that is compulsively emphasized or repeatedly left out of discussion is something to be investigated and analyzed as evidence of resistance. Therefore, if a patient either discusses only his family or never discusses his family, always the therapist or never the therapist, always others or never others, always his dreams or never his dreams, only history or never history, it can be assumed that he is hiding something it would be better for him to explore. This rule eliminates a good deal of endless discussion about which technique is more therapeutic or more effective: here-and-now activity or probing into history, interaction or introspection, verbalization or not. They are all important; all are at some time used in the interests of self-revelation or resistance, depending on the particular situation of the particular patient at the particular moment of study. ‘inferiors’. Certainly, the more heterogeneous and vivid the group analytic experience, the less rigidity and the more reasonable spontaneity should result. And these qualities are the sine qua non of the group analyst who is prepared to deal with the multileveled analytic design with which this essay deals. Now to some specific details of how this basic design for psychoanalysis in groups works in actual practice. If one is conversant with the basic precepts of psychoanalysis, if one can handle one’s own transferences and countertransferences, it should not be too difficult to pursue a reasonably disciplined plan of therapy for each individual, always against the background of his interaction within the group. Each patient has a characteristic pathology, characteristic resistances and a set of transferences which he repeats over and over again. We come to know and expect these particular responses, behavior that typifies him, that gives him a stamp, so that we learn: if we behave so, we can predict that he will react thus and so. The first step is to prepare the individual patient to joint the group. Sometimes this is not necessary since some patients with prior individual therapy come specifically for group therapy. Even they, however, may need some time with the therapist alone before entering a group. In the majority of cases some individual preparation is necessary in order for them to overcome fairly common resistances to joining a group. Usually, these resistances fall into the following categories: the patients who (1) think group will be a mortifying invasion of their privacy; (2) fear that their difficulties will be publicized; (3) want exclusive possession of the therapist; (4) fear the group will reproduce a nightmarish family situation; (5) cannot tolerate even a breath of hostility; (6) cannot give up the illusion that their neurotic defenses are justified and should be strengthened and encouraged rather than changed; and (7) cannot see how a bunch of neurotics can be of any possible help to them. The well-trained therapist can allay these fears in prior individual private sessions, which may number as few as one or two or stretch over more than a year. For those who fear the reincarnation of a nightmarish family, the therapist can promise and deliver a permissive protectiveness for a time, using his skill not to stifle other members of the group but to encourage ventilation of feelings, dreams, fantasies and biographical material from the overfearful one, from the provocateur and from the onlookers. Thus everyone in the group has a chance to be both participant and observer, helper and helped; each patient is encouraged to play a liberating, creative, expansive and socializing role as he gives up his own repressive, destructive and antisocial trends. An excellent booklet, Introduction to Psychoanalytic Group Therapy, published by the American Mental Health Foundation, has been invaluable in preparing patients for group psychotherapy and in greatly reducing the number of preliminary sessions necessary prior to group entry. Conversely, the heterogeneous group provides a structure that by its nature has greater reparative potential because it must stir the patient to change; it must stimulate, provoke, excite and challenge him. Diversified interaction will elicit and promote multiple transferences and, at the same time, help break down the rigidity of the transferential reactions, while the variety of personalities to whom the patient assigns projected roles will more quickly highlight the discrepancy between his distortions and reality. Despite this emphasis on heterogeneity, certain readily identifiable types are better treated individually or in homogeneous groups and are best excluded from the average heterogeneous group. Among these are manifestly exploitative psychopaths; severe alcoholics, who cannot come to meetings sober; seriously disabled stutterers, who can exhaust the patience of other members; paranoids, who are apt to include group members in their systematized delusions; intensely masochistic patients, who manage always to seduce others into aggression; the senile, who are too out of contact; the very depressed and suicidal, who are too disturbed to tolerate interaction; the gravely autistic, who cannot become involved; the rigidly obsessive-compulsive, who are too preoccupied with their own rituals; mental defectives, who can burden a group; and cardiac patients, for whom the excitement and drama of group interaction might precipitate anginal spasm. Homosexuals, who some therapists believe cannot be treated in a heterogeneous group, I have found to benefit enormously when included in a ‘general world atmosphere’ and not limited to a homogeneous (homosexual) environment. And many of the types just listed can eventually be included in heterogeneous groups after individual treatment. Although the hypothetical group I am describing here is one that is newly formed, it is in no sense a closed group. To reinforce the principle of heterogeneity, this group will be ongoing and open ended. If a member leaves, he is replaced by a new member.